Callahan Construction Managers has completed Meriel Marina Bay, a 352-unit luxury apartment community located on the Quincy waterfront overlooking Boston Harbor. 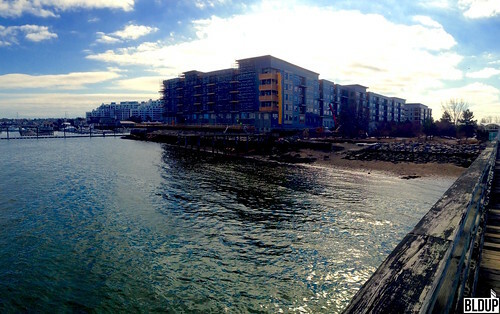 Meriel Marina Bay, developed by Hines, features studio to three-bedroom apartments available for immediate lease, and also includes a new extension of the Marina Bay public waterfront with 20,000 square feet of retail space. Residences at Meriel Marina Bay feature open layouts and luxurious finishes such as oversized windows, wide plank flooring and kitchens with stainless-steel appliances, center islands with breakfast bars, quartz countertops and European-style soft-close cabinets. Many apartments are equipped with oversized balconies or private patios. Resident amenities at Meriel Marina Bay include four elevated courtyards featuring fire pits, barbeque grills, wet bars and deck swings, a heated outdoor swimming pool, a club room with lounge seating, a catering kitchen and a fitness center. A ribbon cutting ceremony was held Saturday, August 12th for the newly completed Meriel Marina Bay luxury apartments on the Quincy waterfront, and the associated expansion of the Marina Bay boardwalk. The boardwalk’s size has been nearly doubled as part of Meriel Marina Bay’s development, creating new publicly-accessibly waterfront space and retail. Meriel Marina Bay features two five-story buildings featuring 352 studio, one-, two- and three-bedroom residences and 20,000 square feet of ground-floor retail, with resident amenities including a fitness center, three elevated courtyards, a swimming pool and on-site garage parking. Breathtaking views of Boston Harbor and the Boston skyline are visible throughout Meriel Marina Bay. Over 25% of apartments at Meriel Marina Bay are leased following the launch of leasing last Spring; apartments are now available for lease. 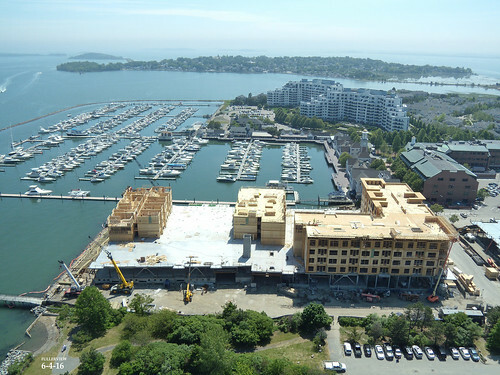 Interior and exterior finishing touches are well underway at Meriel Marina Bay, a waterfront luxury apartment community opening Phase 1 this Spring in Quincy. 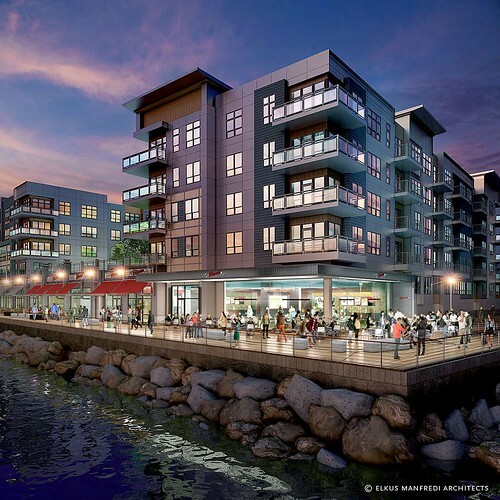 Callahan Construction Managers is building this mixed-use property in Quincy’s thriving Marina Bay neighborhood in partnership with client Hines. The construction team is installing luxurious features including stainless steel appliances, porcelain backsplash kitchen tiles, solid quartz countertops, Kronoswiss® hardwood flooring and plush bedroom carpeting in Meriel Marina Bay’s 352 apartments. Meriel Marina Bay’s Building Two has reached six stories tall, the building’s full height. The frames of both buildings at Meriel Marina Bay are now being prepared for installation of exterior finishes. Windows have been installed along large sections of both buildings. Meriel Marina Bay will open in Spring 2017 and will feature 352 luxurious residential apartments overlooking Boston Harbor with sweeping views of the Boston skyline. A topping-off ceremony was held for Meriel Marina Bay on June 28th, 2016. The following is a link to the official press release announcing the topping-off. 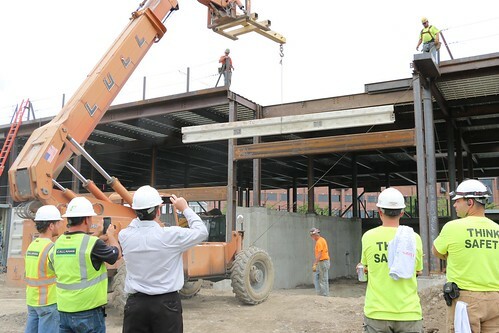 During the ceremony, Meriel Marina Bay's last beam of steel was lifted into place and installed, completing Building Two's structural steel frame. 163 wood-framed residential apartments will now be constructed above Building Two's steel frame. 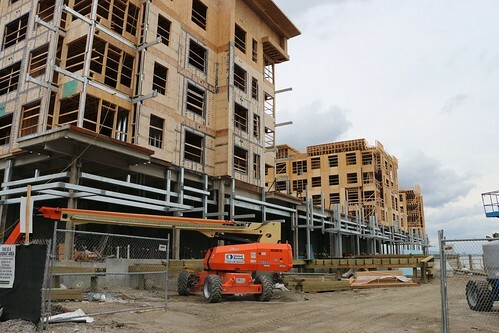 Wood framing is underway on Building One, which will contain 189 apartments. Located in Quincy's waterfront Marina Bay neighborhood with sweeping views of Boston Harbor and the Boston skyline, Meriel Marina Bay will feature 352 luxury apartments across two new buildings. Resident amenities will include a fitness center, three elevated courtyards and a swimming pool in addition to sweeping ocean and skyline views. The project will also include a public waterfront boardwalk extension and approximately 20,000 square feet of retail. Initial occupancy of Meriel Marina Bay is expected in Spring 2017. Bozzuto will be Meriel Marina Bay's property manager. The following are links to pre-leasing information and to the Meriel Marina Bay website. 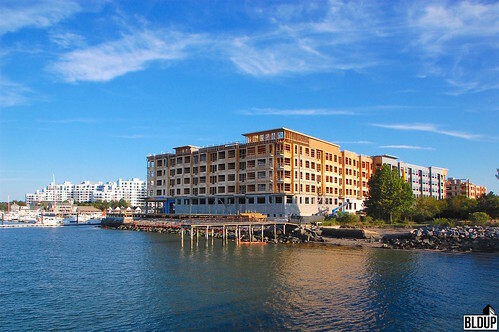 Quincy, MA - (July 07, 2016) – Callahan Construction Managers (Callahan), a Bridgewater-based full-service construction management firm, recently participated in the topping-off ceremony for Meriel Marina Bay, a 352-unit luxury oceanfront apartment community in Quincy’s Marina Bay neighborhood. Initial occupancy is expected in Spring 2017 and the overall construction is expected to be complete by the end of 2017. Callahan was selected as the project’s construction management firm, following recent successful multifamily projects with Hines, including Fuse Cambridge and Currents on the Charles. Working in collaboration with the architectural team of Elkus Manfredi and Cube 3 Studio, the pair of apartment buildings began construction in July of 2015. 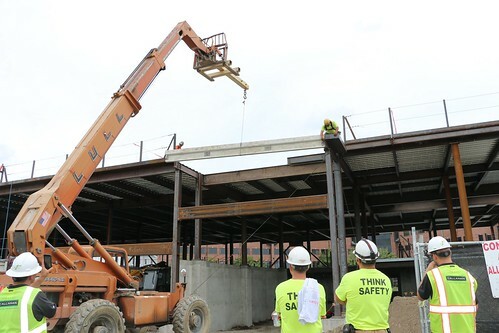 During the ceremony, the last piece of steel was raised and placed by Iron Workers Local 7, signifying the completion of the structural steel portion on the second of the two buildings. 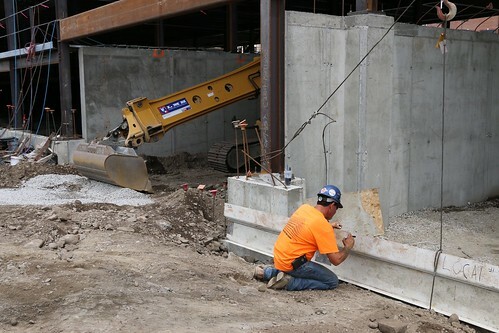 A major milestone, the finalization of the structural steel will allow for construction of the 163 wood framed apartment units in the South Building above the parking garage to commence. Conveniently located seven miles south of Boston and accessible to major highways as well as the Red Line via shuttle bus, Meriel Marina Bay marries views of the marina and downtown Boston skyline. 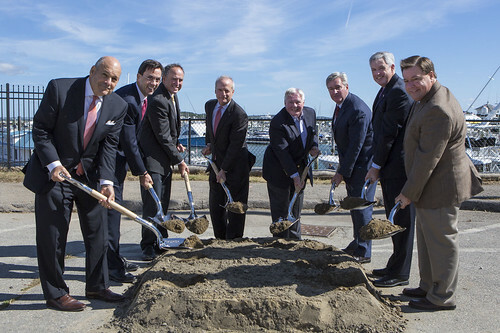 Meriel Marina Bay will extend the existing boardwalk by providing approximately 20,000 square feet of retail space including several new restaurants and shops that will complement the existing retail in Marina Bay, as well as offer an improved pedestrian connection to Squantum Point Park. Only minutes from the Quincy River Walk, the property will evoke a peaceful escape from the buzz of the City of Boston without the hassle of a long commute. Meriel Marina Bay resident amenities include a state-of-the-art fitness center, a cardio studio, a yoga/group studio, as well as three expansive elevated courtyards – one of which has a resort- style pool. 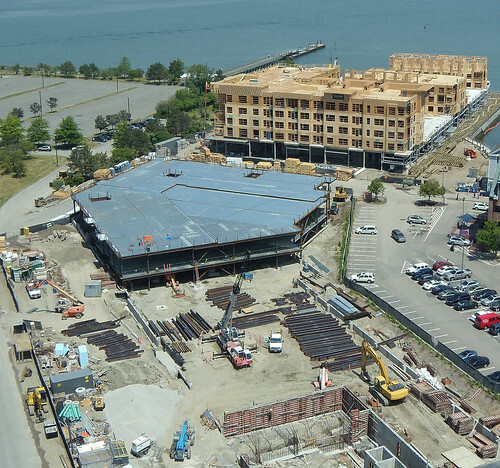 For a full list of project amenities and additional project information, please visit www.merielmarinabay.com. For more photos of the ceremony, please visit http://nickersonpr.com/hines-merielmarinabay/. 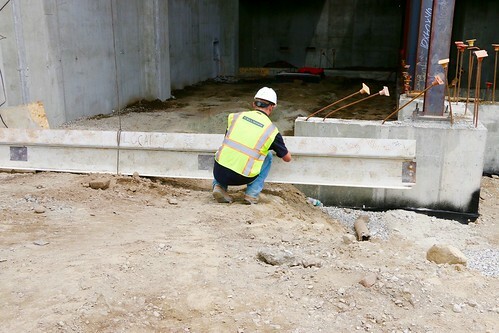 About Callahan: Callahan Construction Managers is a full service construction management company that has served the New England and Northeast regions for more than 65 years. As one of the regions oldest family-run construction management firms and one of the largest open shop construction firms in the Northeast, Callahan provides a wide range of preconstruction and construction management services to local, regional, and national clients. Callahan enforces a high quality and innovative approach to all projects, including multi-family residential, senior housing, hospitality, retail, corporate office, life sciences, educational, and other markets. Visit http://callahan-inc.com/ for more information.